Re: Alltrax XCT install pics. You have to install one for the small posts that is a 3 amp suppression diode. Call scottyb to send you one. I installed the red Diode wire that you can see from large post to large post. You have to install one for the small posts that is a 3 amp suppression diode. David will send you one if you let him know. He put a post out last week in another thread to contact him. Nole- so do we need BOTH diodes? When this all came up a few months back about the various answers from Alltrax I installed the small one on the coil (small posts). Do we also need the one for the big posts, or only the small one? The more I real all of the threads about it the more confusing it is since you have to pay attention to the timing of the post. Figured I’d finally just come out and ask. To answer your question - Yes, they are both needed - but let me explain a little more to help with "why". To answer your question - Yes they are both needed- but let me explain a little more to help know "why". 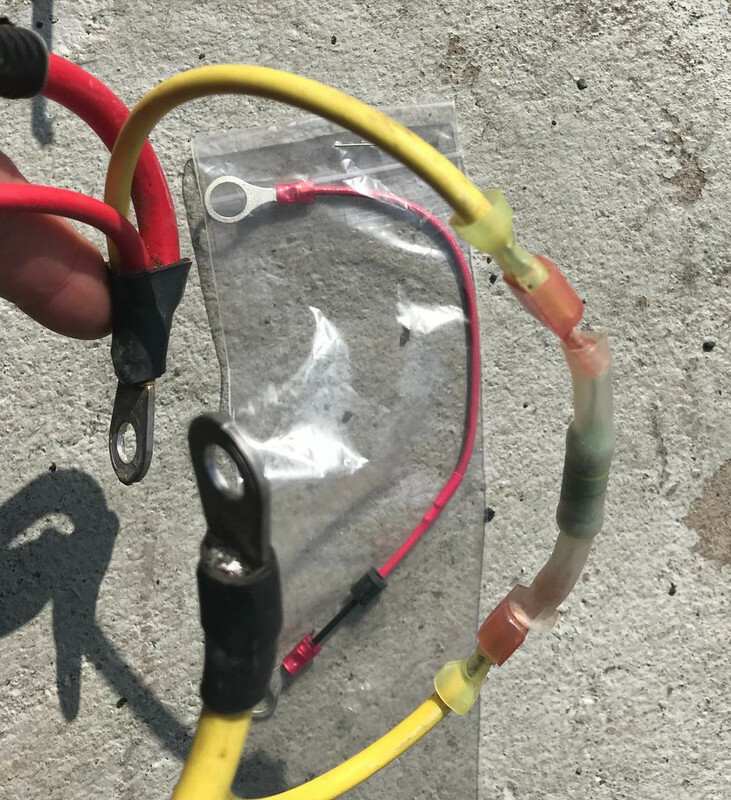 Is the coil diode the yellow one in my pic that was previously on my cart? The red one on ground beneath yellow on is the one that cam with solenoid that is currently installed from large post to large post. I installed no diodes or resistors going off scottyb's directions. Am I understanding this incorrectly? Please read the information above. You are referring to old information (4/17 & 12/17) that is not applicable anymore. Scottyb relayed to you what was told to him at the time. Since then, Alltrax has changed their position and are trying to make everything correct and uniform going forward. As stated and attached above, the print delineates the required diodes, both Regen and Coil Suppression, and that print is dated 4-17-18 Rev G and can be downloaded right form the Alltrax document center today. The drawing is also current with the owners/instruction manuals being sent out with controllers since that time.